Yamaha has once again exceeded expectations with the Arius YDP-184, which it released in early 2018 along with the slim YDP-S34. This digital piano produces a beautiful, realistic sound with some of the best technology in the field and with added features that make this 88 key digital piano an excellent contender on the market. 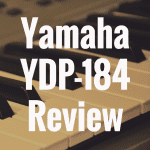 In this Yamaha Arius YDP-184 review, we’ll look at some of the areas in which the YDP-184 improved on its predecessor, and overall help you determine if this upright digital piano is worth splurging on. 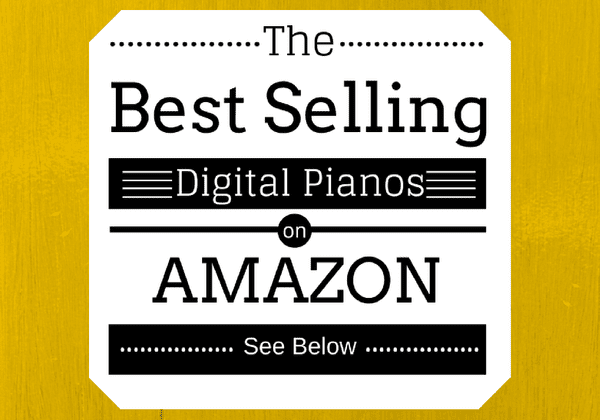 But first, let’s talk about the ideal uses and locations for this newest addition to the Arius digital piano series. Because of its design as an upright, low-mobility digital piano, the YDP-184 is perfect for livings rooms, recital halls, and centers for worship. The quality of the sound with acoustic-like resonance and the Yamaha 88 key digital piano technology, teaching musicians and students will benefit greatly from this version. It is ideal for students to have opportunities to play on an acoustic piano so that they understand the way an instrument is intended to respond to touch and intention. The YDP-184 provides the realism that every student needs at a more reasonable price than an acoustic baby grand. Additionally, the YDP-184 will be a great addition to any house of worship with it’s size, design, and sound. 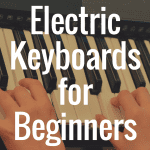 We will unpack the various technology used to make it so but suffice it to say now that this digital piano is simple enough for the beginner and advanced enough for an advanced proficiency musician. Let’s dive into the aspects of design, sound, connectivity, ease of use, and value. Although design is likely not the first attribute that a buyer considers, it does play a significant part in determining its usefulness for each situation. The YDP-184 is a traditional design with a rich rosewood finished cabinet, upright appearance. Upon first impression, it almost looks like a real acoustic piano. The three pedals are all inset as they would be on a traditional acoustic piano and it comes with a matching rosewood padded bench which nests well under the keys. A sheet music stand is included and can be laid flat when not needed. As mentioned before, the YDP-184 is a fully functioning keyboard set with 88 keys. The user interface and control panels are located off the right and left sides for easy access during play but hidden from view of most listeners so as not to distract from the overall experience. Graded Hammer Action 3 (GH3) keyboard is even more realistic than previous designs. It responds well to quick, stylistic movements such as arpeggios and yields a rich, full-bodied sound for legato. The YDP-184 delivers the same responsiveness and quality whether a musician is finger-dancing through a whimsical jazz piece or plodding through the mournful falls of a dirge. The grading is heavier in the lower octaves and lighter in the upper octaves just as it should be on an acoustic piano. That being said, it’s important to remember that digital pianos, try as they may, cannot fully replicate the feeling of an acoustic piano so for players who are exclusively playing on acoustic pianos, this will take some getting used to. The keys do tend to bounce a little quicker and there are subtleties of an aging acoustic piano that are missing from all digital pianos. The YDP-184 does a fantastic job of mimicking the experience but one reason this digital piano likely won’t get a fully 5 star rating is because some models do it a little better (i.e. Kawai CA65). In a small but not so insignificant touch in the design, Yamaha uses a non-slip, textured synthetic ebony and ivory key for better grip and handling. It improves the handling should there be any moisture in your finger tips and when speeding through runs on the keys. The YDP-184 is a beautiful instrument and makes a stunning addition to the home, recital hall, or house of worship; but how does this digital piano sound? When I sat down to play the YDP-184, I was already a fan of Yamaha for both acoustic and digital pianos. I play a Yamaha YPG-625 at home and although there was a learning curve for me with the digital piano, it suits my playing style and proficiency perfectly. Needless to say, some seven or eight years later, Yamaha has done a lot to improve on the technical quality of their digital piano sound. The beauty of sound produced by the YDP-184 is due to a three-pronged approach to quality sound. Yamaha has used some of its best technology to create realistic acoustic sounds from their digital pianos and have excelled in this version. The sound sampling from the Yamaha CFX 9 concert grand piano. The YDP-184 has a 256-note polyphony (most in the Arius series come with 64 or 128 note polyphony) for realism in resonance, pedal effects, and multiple key and velocity samples. This enhancement is one reason this model nearly receives 5 stars in this review. The Virtual Resonance Modeling (VRM) has been enhanced to create an even more realistic soundboard. While older versions of VRM calculated he various states of the strings for each of the 88 keys, the newly enhanced version also calculates resonance in upper octaves and full resonance of the soundboard, rim, and frame. Thus, VRM creates a rich musical experience that includes the variety of factors in an individual’s piano performance. Graded Hammer Action 3 (GH3) keyboard allows for the player to reach a high level of authenticity intended for each musical piece. Unlike some cheaper, less intentional digital pianos, this Yamaha 88 key digital piano can match the skill level of the pianist. The choice of 24 voices, or sounds, for the piano including 4 acoustic piano sounds, harpsicord, stereo symphony string, electric pianos, choirs, guitar, organs, and more. Pedaling is exquisite with the YDP-184 due to the half-damper pedal control with allows the subtle nuances of play when tackling different songs and styles. The result of course being a more realistic sound overall which is the aim of each of Yamaha’s technical advances with the YDP-184. The speakers on the YDP-184 are more than sufficient for most environment with two large speakers using 60 watts of stereo power. Of course, as we’ll see in the segment on connectivity, there are options to connect to a larger speaker system to produce even greater sound. 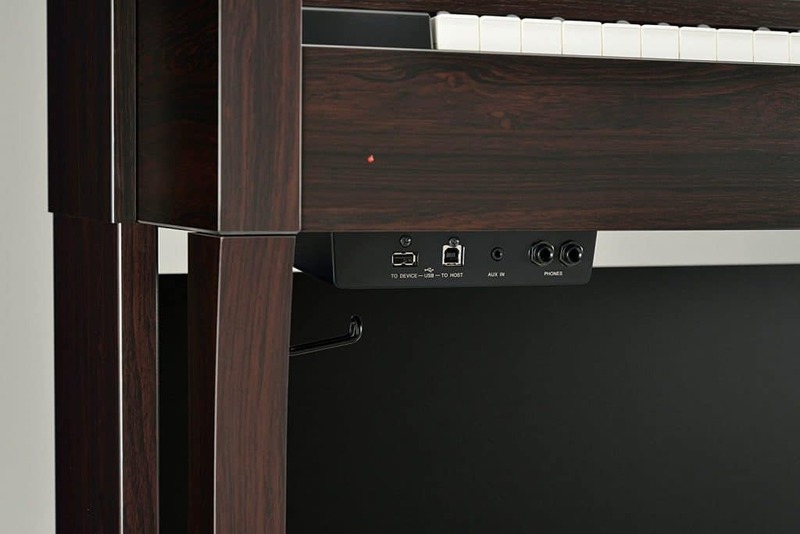 If you are a producer, teacher, student, or dealing with noise issues in your environment, connectivity is an important consideration for purchasing a digital piano. The YDP-184 has two standard stereo phone jacks for headphones which is a nice feature. Also featured are MIDI in, out, and thru, AUX IN (stereo mini), AUX OUT ([L/L+R] [R]), USB to device and USB to host. This digital piano comes with power cord/AC power adaptor. The Arius’s Stereophonic Optimizer creates a realistic experience through headphones by sampling from acoustic pianos. The sound genuinely seems to be coming from the piano itself. With the right set of digital piano headphones, players can expect concert quality sound even when plugged into the stereo jack. Often included in connectivity is storage which for the YDP-184 includes 1.5MB of internal storage and s USB flash drive for external storage. The internal storage is excellent for immediate playback which can be especially beneficial for students so that they can hear a passage of music they have just played for critique. Players can record up to 16 tracks for playback, allowing for the layering of hands separately and different voices. The YDP-184 is relatively simple to use as delivered. There is no barrier to simply turning it on and enjoying the immediate product of your own musical efforts. The difficulty comes in understanding and using the interface which is not as intuitive as perhaps it should be. It’s not so overly complex that a thorough reading of the user’s manual would not suffice but it will still take time to memorize the functions and enjoy them with ease. To be fair, this is the case with most digital pianos and not really a downside to the YDP-184 per se as it is a downside to the overall market for digital pianos. An espresso machine can be easier to operate than some digital pianos on the market. Since the YDP-184 borrowed so heavily from the more expensive Clavinova models, it’s a shame they didn’t carry over the interface as well. When it really comes down to the line, design, sound, connectivity, and ease are all subject to the critical element of value. Is the YDP-184 worth the market price of $2,199? Well…the short answer is, yes. 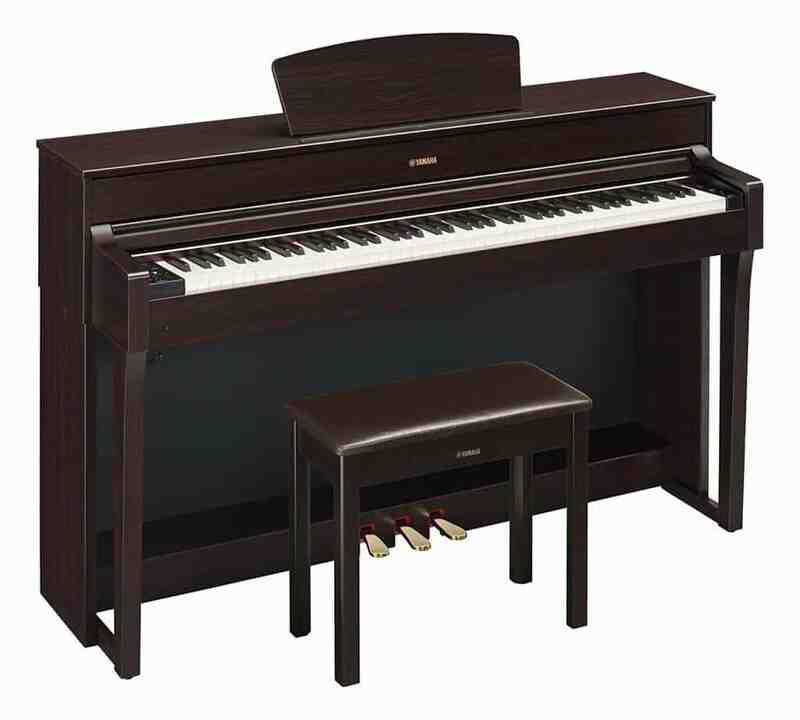 The YDP-184 is the most expensive for an Arius series model but it is also a trimmed down version of the Clavinova CLP-635 which fetches a market price of about $2,699. Sure, the YDP-184 has fewer features than the CLP-635 but it’s a huge leap up from the lower series models such as the YDP-181, 143, and 163 in sound quality due to the sampling of the Yamaha CFX concert grand and improve pedal damper controls. The YDP-184 is stylish, well-built, functional for a variety of spaces and proficiency levels, on par for acoustic-like concert-quality sound, and an overall value if shopping in the $2,000-2,500 range. There are only a few similarities between these two models and the most noticeable being the 88 hammer-weighted keys, 3 built-in pedals, and rosewood finish. That’s pretty much where the similarities stop because once you pop the hood, these Yamaha 88 key digital pianos are as different as night and day. While the YDP-181 is a step above some of the other Arius models with its 128-note polyphony, the YDP-184 puts it to shame with its 256-note polyphony. 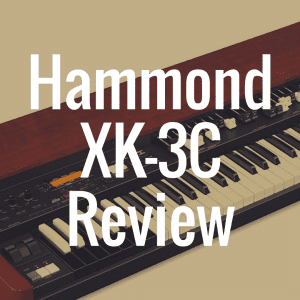 The difference in range of sound and tone is noticeable and for advanced players, it will make a significant difference in the keyboards ability to meet your proficiency level. 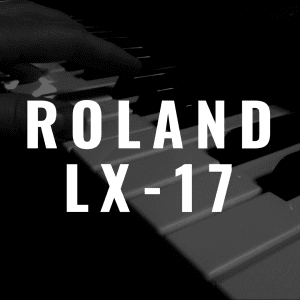 The generous sampling of the Yamaha CFX concert grand is also an improvement over the YDP-181. There is no mistaking the quality of sound produced by the CFX and to have it captured in the YDP-184 is one of the best crossover features from the CLP-635. The enhanced Virtual Resonance Modeling (VRM) cannot be mentioned enough in this review and especially when comparing these two models because it is the difference between near-authentic and authentic sound. The YDP-184 is superior in virtual resonance no doubt about it. Although I mentioned the downsides to digital piano displays, the YDP-184 does have an enhanced LCD display or interface with easier navigation than its cousin the YDP-181. This difference may be small in comparison to the others but it’s an improvement that musical experimenters will appreciate. Some similarities between the YDP-181 and 184 include USB flash drive, MIDI connectivity, built in tracks, songs, and instrument sounds (or voices). The differences appear in the on-board storage capacity, modes, and speaker quality. The YDP-184 has two 60-watt speakers for bolstered sound while the YDP-181 has two 20-watt speakers which is pretty standard. The stored onboard instrument sounds, tracks and songs for the YDP-184 are decidedly enhanced ( 24 instrument sounds, 16 tracks, 250 songs) but the YDP-181 provides a modest sampling and storage capacity (14 instrument sounds, 2 tracks, 3 songs). It’s also important to note that the YDP-184 has a split keyboard option which is fantastic for early learning and practice while the YDP-181 does not have this same feature. You can read our review of the Yamaha YDP-181 here. The YDP-184 really is a fantastic offering on the market for digital pianos. 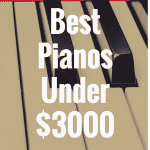 Yamaha has taken some of its best top-of-the-line features from their more expensive models, trimmed it down, and made a superior mid-range instrument that is ideal of teachers, students, and advanced pianists. It should be mentioned that even though we keep mentioning students when reviewing this piano, it’s important to consider the commitment of the student before making a purchase of this kind. When we say student, we mean a committed, long-term piano student who will benefit from an advanced technology instrument. For those looking to bring an instrument into the home, recital hall, classroom, or house of worship, this is an excellent model for both standards in quality and use. 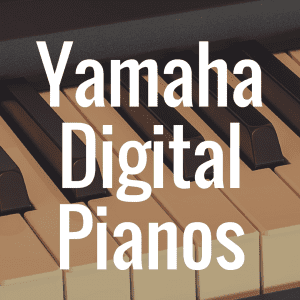 The price tag is a bit steep in terms of digital pianos, but Yamaha has done a lot to make sure there is an excellent value at this higher price. What are the Best Electronic Keyboards for Beginners?